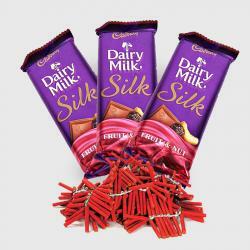 Product Consist : 2 Bars of Cadbury Bournville (Weight : 80 gms Each) with Assorted Fire crackers (Worth Rs.300/-) (Note: Types of Fire Cracker are depends upon their availability no specific choice). 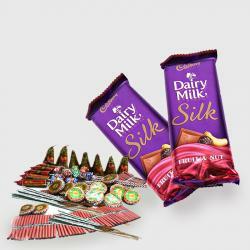 On the occasion of diwali gift your dear one the 2 Pcs of Cadbury Bournville Rich Cocoa chocolate along with mix crackers worth Rs. 300. The boom bang sound of crackers will blow away all the negative energy of the house. 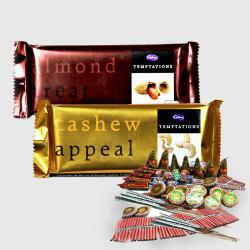 Chocolates will blend its sweet and bitter taste into your relationship and will make a strong bond. Celebrate the occasion burn up the crackers light up the house with candles and blow away negativity. 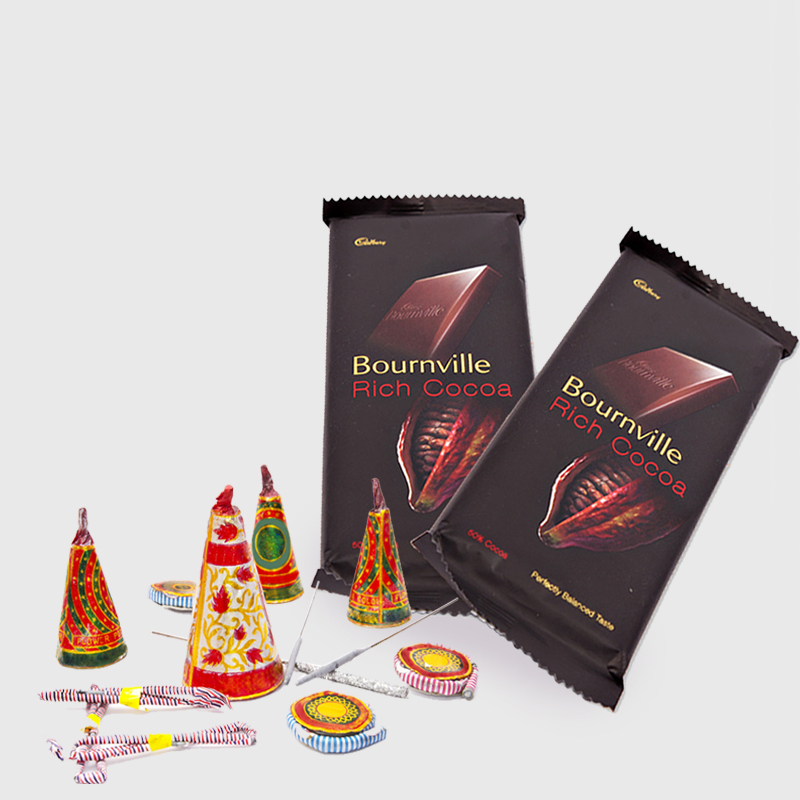 Taste the Bournville rich cocoa chocolate and enjoy the day. 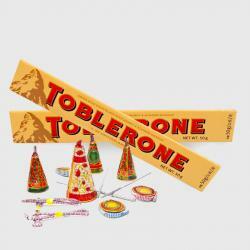 Product Includes : 2 Bars of Cadbury Bournville (Weight : 80 gms Each) with Assorted Fire crackers (Worth Rs.300/-) (Note: Types of Fire Cracker are depends upon their availability no specific choice).